STEAMBOAT SPRINGS, Colo. (Feb. 12, 2018)—Honey Stinger, the leading manufacturer of honey-based nutritional products, today announced a new variety pack of its Organic Waffles. 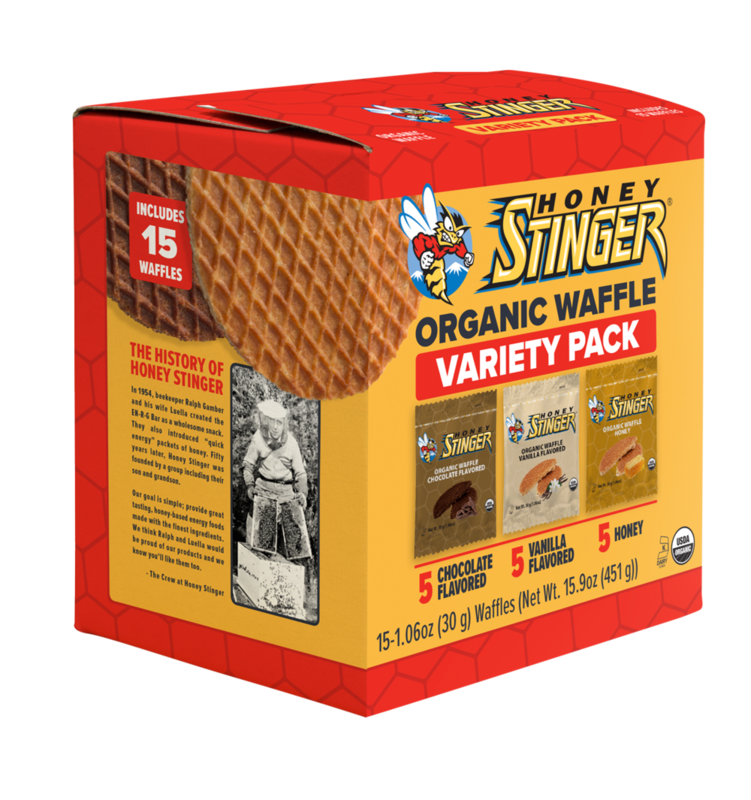 The new Organic Waffle Variety Pack features three of Honey Stinger’s top-selling flavors: Chocolate, Vanilla, and Honey, in boxes of 15. With five waffles of each flavor, the new variety pack is ideal for the person who wants more than one waffle flavor. The new variety packs (MSRP $22.24) are available for purchase now at specialty sporting goods retailers, grocers, convenience stores and online at www.honeystinger.com and www.amazon.com. Located in Steamboat Springs, Colorado, Honey Stinger makes convenient, nutritious and great-tasting honey-based foods including energy and snack bars, 70% organic protein bars, organic energy gels, organic waffles, gluten free organic waffles, and organic chews. Fueling the country's top cyclists, runners, triathletes and teams, including USA Nordic, Honey Stinger products may be found at specialty sporting goods retailers, grocers, convenience stores and online at www.honeystinger.com.